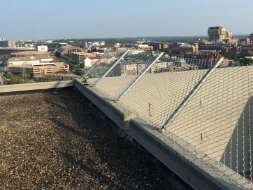 Security Fence and Construction is a leading name in fence installation throughout Minneapolis, St. Paul and the entire Twin Cities. We have been help homeowners and businesses with their residential and commercial fencing needs since 1972. During this time we have assisted countless residents across Minnesota transform their living or working space into a safe and beautiful place. There are so many different types of fencing solutions out there that you may be a little confused as to where to begin. 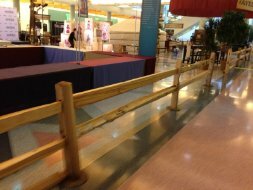 Give the team at Security Fence and Construction a call to learn more about the various options and benefits and receive a free estimate. Our staff has over 100 years of combined experienced for any size or specialty solution. We provide fencing solutions to both homeowners as well as commercial property managers looking for a better way to secure their business. When it comes to choosing your fencing solution there are a lot of things to consider. Price is always important and we offer affordable solutions for any budget and lifestyle. 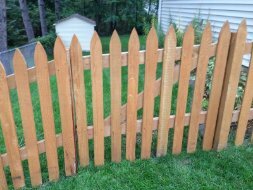 Security and privacy are two other important elements to fencing and we can help you decide on the right material for your specific needs, depending on the outlay of your property and the location in Minnesota. Aesthetic beauty is another thing that should always be considered when you are looking into fencing around your property – you want the fence to not only look good, but add curb appeal and value to the area. Our fences are customized to suit all of your needs, not just one or two of them. We will work with you on a personal level to get to know your specific needs, tastes and budget for your new fence. 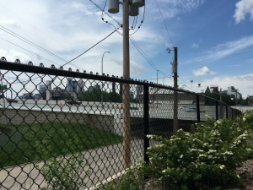 At Security Fence and Construction we pride ourselves in providing our customers with a huge selection of fencing solutions, competitive pricing and excellent service from sales to installation. Come in and speak to the team or contact us today to get started. We invite you to explore the many fencing options outlined on our website to get a better idea of what is right for your particular needs. Get to know your fencing options with one of the best in residential and commercial fence installation. 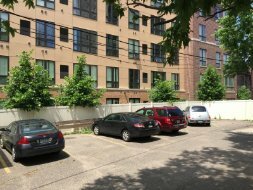 Contact the leading name in fence installation services, Security Fence and Construction today at (612) 788-4729. Thank you for a great job keeping my fence intact. Your crew are great! Courteous and helpful! Thanks again. Thanks so much for adjusting the gate at my place! Please feel free to use my name if new customers ever want to hear how great your company is! Jim and Crew - Thanks for a job well done! I would like to say THANK YOU for helping the woman with the service dog. I do not know the person who this fence is for, but I just wanted to say THANK YOU for helping! I am a KDWB listener and I heard Jim on the radio this morning. I just want to say a BIG thank you for the help/services you are providing for that woman and her family! Also, Jim, the fact that your daughter got you involved tells me you have passed along wonderful values to her :) Awesome story. Thanks again! I just waned to thank you and the Security Fencing crew for the fence that was installed on Reservoir Boulevard. We are very happy with the results. I think the wood privacy fence turned out exceptionally well. I like how it tapers down to the chain link. Thank you for getting the job done in time for the arrival or our new puppy. I understand that businesses appreciate customer satisfaction. 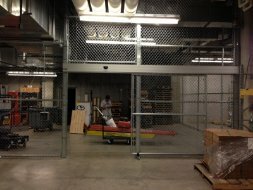 Just wanted to let you know that I gave Security Fencing an "A" rating on Angie's List. I hope that your business continues to prosper. Since your company put up this fence in 1999 the service you have provided from then to now has always been superior. It's a pleasure to do business with you.